Yesterday we posted on social media that it had been two years since our coach Zac’s return to the rugby field following a life changing spinal injury which left him paralysed. Our Operations Manager Dan and Marketing Executive Kane, sat down with Zac to talk about his road to recovery, and how he takes the positives from dark days, helping our young people with his life experience. Kane: Can you tell us your story about you breaking your back those years ago? Zac: Yeah so, I was playing a rugby game in Bristol and it was the last play of the game, I picked up the ball off the back of a ruck and got picked up and spear tackled, so I was dropped on my neck and stamped on after, blacked out and woke up and I was paralysed from the neck down. Woke up in Southmead Hospital in Bristol, and then whilst I was in the hospital within the first week or two they discovered a bleed in my brain, and I was put in a medically induced coma and then later on in my care I had a stroke as well. Overall how long were you in recovery from all of that? So about two years physical recovery, but learning to read and write again took longer. So sort of three years already. And in terms of you actually being able to walk again? What was it that kind of kept you going throughout that period? My family and my rugby coach, my mum visiting me as she took a lot of time off work… Chatting with my rugby coach, who told me to stop sulking about it, basically! And yeah I just did something about it, it didn’t really make any difference whether I was gonna walk or not, at the end of the day I was still going to be happy. It wasn’t gonna stop me from living my life. I adjusted to living in a wheelchair before I started walking and then luckily things worked out. It was interesting, just touching on the ‘stop sulking’ point from your Rugby coach, do you feel like it was that bit of tough love that actually had a big impact on you? Yeah, I think like I was sort of feeling sorry for myself for quite a long time and didn’t really want to do anything, because I didn’t feel like there was any point in doing anything, which was just really unproductive. And I was just in my head all the time, just overthinking things and rather than focusing on a solution, I was just looking at the massive problem… I was just going about it sort of the wrong way for quite a long time and it just took my rugby coach to come along, and just sort of, you know, there’s a lot of stuff going on in your head, but you can do something productive and you can be happy. So yeah that’s what kicked it on really. And did you end up breaking that down, step-by-step, one week at a time? Yeah just setting small goals, it was just like celebrating the little things really, he was like, ‘you may not be able to do this and you may not be able to do that, but there are still so many things that you can celebrate in a day, you know, like the first time you move your fingers, the first time you feed yourself a bowl of cereal or something like these are like little things you know that are worth celebrating.’ And maybe they don’t feel massive but that’s because you’re making them that way. You can make them a big deal if you want to make a big deal and make yourself feel better. It’s up to you, everything is in your head so if it’s a big deal to you then make a big deal. And now that you know that you’ve gone through that, how does that arm you for any future troubles? Really well, I struggled a long time afterwards with mental health and I think I’m in a much better position now, having gone through what I went through after the accident and sort of having to adjust to living by myself again and being reintroduced in society and working on things was really hard. But just constantly, sort of reminding myself what I’ve been through, that there are ups and downs and every single day, so like, no day is going to be perfect. So there are literally the worst days you can possibly imagine at times but every day there’s gonna be something you can smile about. And it’s just remembering that actually every day is up and down. No one has a perfect day, if we didn’t have a bad day, we wouldn’t appreciate what a good day felt like – you can’t have bad without good, you can’t have positive thought without negative thought… So it’s always going to be there. It’s just celebrating the small things as well. When you’re coaching our young people and let’s say they’ve gone through similar or problems with mental health. Do you think that it’s actually easier for young people to understand and move past these issues at a young age, compared to you dealing with what you had to deal with in adult life? It’s not a bad thing you know there is a massive stigma around it and I think obviously we are we are getting better as a society, moving away from it but if you ignore it and push something down and don’t talk to people, and don’t accept it is okay to have those thoughts, then you’re not going to get better. And if you just treat every bad thought as a bad thing, you’re not going to get better, you need to accept that everyone has bad thoughts – some people struggle with them more than others and have mental problems but it’s not a bad thing to have bad thoughts. Just thinking about your school days, did you ever have that kind of support in school or… We never had anything like that back in my school. Yeah, I mean, there were counsellors and stuff, but it was very minimal sort of stuff that was going on. And very limited to the students. So yeah, I think things been put in place now that weren’t in place which is helping a lot of youngsters, but like coming here; I wish this was around when I was a kid to be able to come here and work on your problems. You are getting better without even knowing it, coming here releasing your anger out, whatever it is, having a chat in between rounds, in between working… it’s a very informal environment and a relationship you wouldn’t really get with your parent or best-friend or something, you know, it is a very informal relationship that allows them to open up a bit more and feel like you know, they’re safe in here as well. 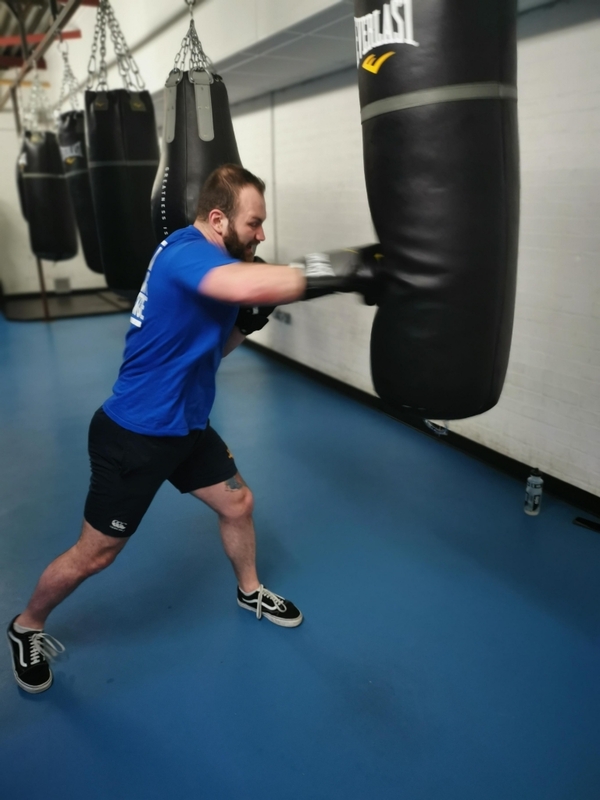 I actually went to a boxing club in Kingswood when I was about 13/14, for a few weeks, and I didn’t find it as inclusive at all so I didn’t stick out and because I was like, quite shy, skinny, kept myself to myself and things, and I think if I’d had the support that our young people have here I probably would have stuck it out and then maybe some of the issues I faced through my teens and later life might have been less of a problem. 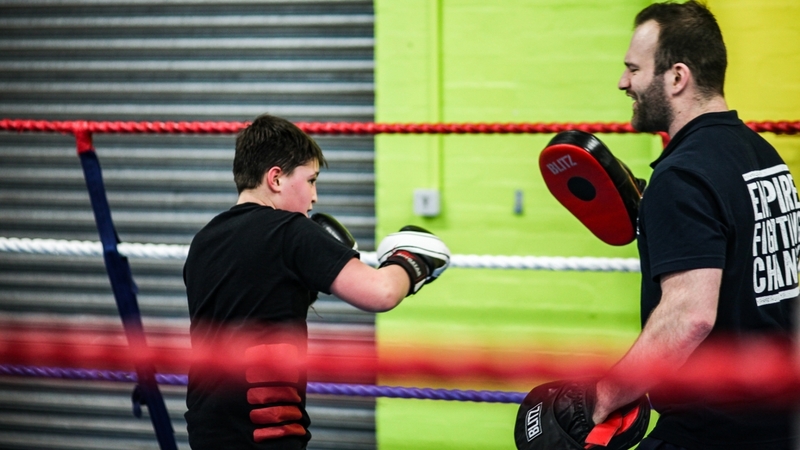 Yeah, I think the good thing about Empire Fighting Chance is obviously being an amateur and a pro gym, as well as having a registered charity here, it works side by side and you get the pros, they talk to the kids, they encourage them. There was a kid who came and talked to Ash (Lane) the other day and he said he was really anxious about going to the amateurs and Ash took him aside and took 10 minutes to chat to him about it, there are a lot of places where you don’t get that. I think here in the area that we’re in, quite a deprived area of Bristol, I think everyone knows where we’re coming from, you know, everyone understands where we’re at and understands that a lot of people are scared and anxious and angry. Check back next week for more from Zac’s recovery and how he learned to write/walk again.